UPDATE JUNE 15, 3PM: JAMES George DeMarco appeared in police custody in Rockhampton Magistrates Court this morning charged with allegedly entering a premises, namely Food Sing Trading on Richardson Rd, with the intent to commit an indictable offence. Police alleged last Tuesday morning at about 11.30am DeMarco stole a charity tin containing about $600 from the counter of Food Sing Trading. The 17-year-old was granted bail and his matter was adjourned for a review mention on August 12. UPDATE JUNE 15: A 17-YEAR-OLD Rockhampton man is due to appear in Rockhampton Magistrates Court this morning charged with the alleged theft of a charity tin from Food Sing Trading last week. A Queensland police spokesperson said the teenager was charged with entering a premises and committing and indictable offence. EARLIER: WHEN Hing Vien saw the widespread, heartbreaking devastation and suffering caused by the Nepal earthquakes in April and May, he had an urge to help. 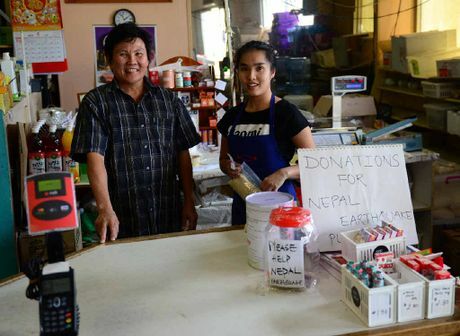 So the long-time owner of Food Sing Trading placed a charity tin on the front counter of his Asian grocery store on Richardson Rd with the hope of raising funds for those in need. He even vowed to match the funds raised, dollar-for-dollar. But on Tuesday afternoon when Mr Vien decided to check how his fundraising efforts were going, he was devastated to find the charity tin missing. "I started the donation jar because I saw the news and that so many people had died and others had no houses or food to eat," Mr Vien said. "We are lucky in Australia and I try to help wherever I can. "We had raised almost $600. "At about 2pm on Tuesday we were going to count the money and see how much was there but it was gone. "I checked our CCTV footage and saw that a man took it on Tuesday at 11.30am." 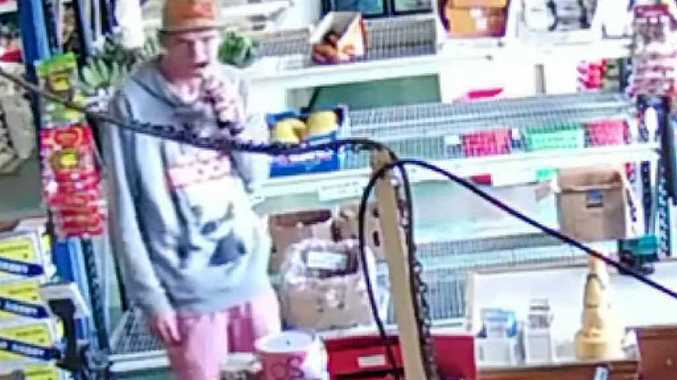 Desperate to recover the donations, Mr Vien reached out to the Rockhampton community for help and posted CCTV footage of the alleged thief stealing the tin on Facebook. The video depicts the alleged thief sucking on a lollipop as he calmly removes the money tin from the counter. The video of the theft was shared about 800 times and many people nominated an offender. Mr Vien thanked the community for their help and said he had put a new charity tin on the counter, which was taped down, if anyone wanted to donate. "I am just sorry to the customers and the police that I didn't look after the jar well enough," he said. Senior Sergeant Tom Nelson of Rockhampton police said while no charges had been laid, a suspect had been identified.